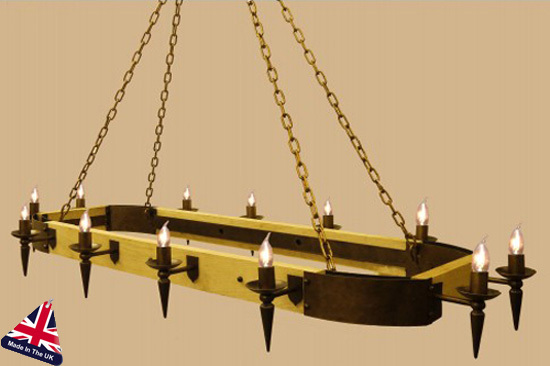 From the UK made Lancelot wrought iron lighting range. Fantastic quality very large feature wrought iron and wood oval chandelier. With a length of 1200mm, this impressive Gothic wrought iron ceiling light is perfect for over a large rectangular dining table and has twelve torchère style arms around the edge. Suspended from four chains and available in a choice of wood finishes.